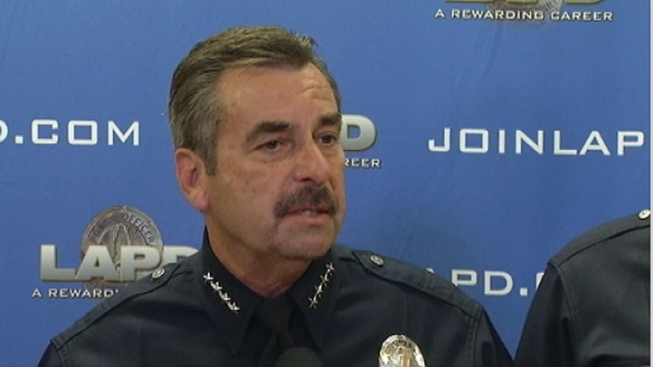 LAPD Chief Charlie Beck talks on Thursday, Feb. 7, 2013 about fired LAPD officer, Christopher Dorner, who is accused of going on a deadly rampage and laying out his firing in an online manifesto. LAPD Chief Charlie Beck on Thursday stood by the decision to fire an ex-LAPD officer -- wanted in a deadly rampage -- who had written an online manifesto recounting his firing and proclaiming his innocence. Beck said during a press conference on Thursday that a case involving an allegation made by the ex-officer, Christopher Dorner, of police brutality against an LAPD colleague was “thoroughly adjudicated” and was within LAPD protocol. 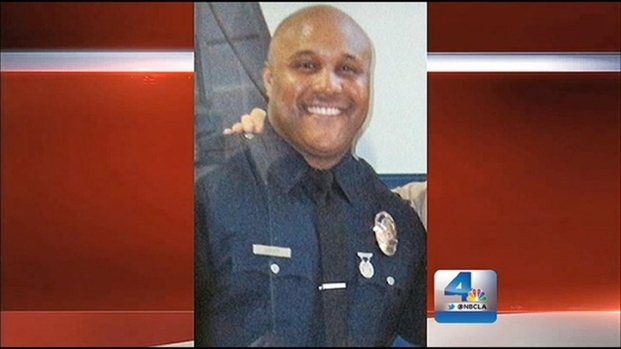 Beck gave no credence to Dorner’s manifesto, in which the suspect stated he was fired for making what LAPD authorities judged to be a false complaint of excessive force against a fellow officer. "You will find Dorner’s statements to be self serving and the statements of somebody that is extremely unhappy with his lot in life," Beck said. Neighbors of Ex-Officer Wanted in Murders Told to "Stay Inside or Leave"
A resident near 4931 Sharon Dr. in La Palma – the last known address of Christopher Jordan Dorner, wanted in connection with a double murder in Irvine – said when investigators descended on the neighborhood, she was advised to stay indoors or leave altogether. Robert Kovacik reports from La Palma for the NBC4 News at 11 p.m. on Feb. 6, 2013. Police were searching for Dorner, 33, who is accused of fatally shooting two people in Irvine on Sunday before ambushing three officers on Thursday, killing one and wounding two. Dorner was fired from the Los Angeles Police Department in 2008. Former LAPD Chief William Bratton said on Thursday that he fired Dorner, but he did not remember him. Apparently disgruntled over his termination from the force, Christopher Jordan Dorner wrote a manifesto that appears to lay out a plan for targeting those involved in his firing. Police said the 11,000-word letter implicates Dorner in the murders of a couple in Irvine. 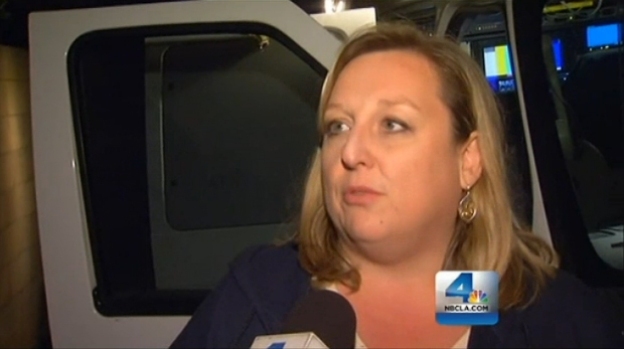 Kim Baldonado reports for the NBC4 News at 11 p.m. on Feb. 6, 2013. Bratton said he has read the manifesto but not documents pertaining to his termination. "LAPD is best at what they do," he said. "I hope they find him before he does anymore harm."